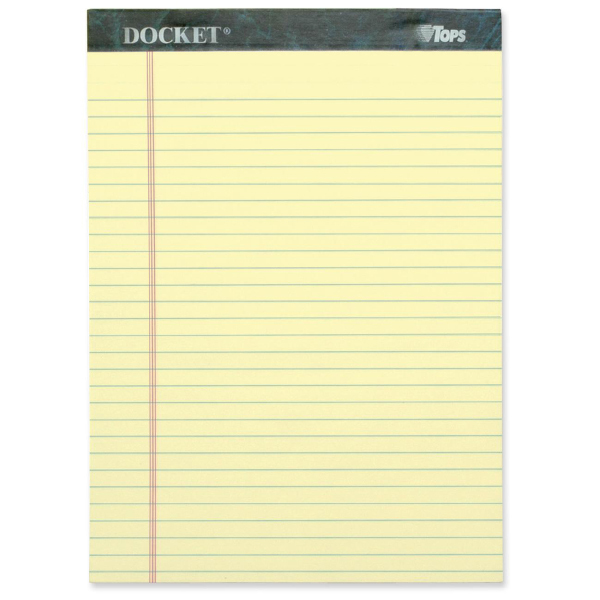 You artists out there: is there anything that compares to the unique twinge of joy you get when looking at a big, empty sheet of completely blank paper, all ready for you to throw down your first few strokes of ideas? How just by looking at it, you sense that as it sits there, it’s literally asking you to do something artistically satisfying with it? Look at it. Look at it! It’s saying ‘draw on me! The purpose of my existence is for you to put drawings on me! Anything! Now!’ How can you ignore that? Maybe it’s the thrill of how your possible artistic paths are infinite — how it’s all up to you. Your brain is free to go wherever it wants to take things. That open world of possibilities that comes from a blank canvas has a definite universal appeal. It can be seen most obviously in the visible excitement of little kids — who still have fresh, natural, creative minds — whenever they get even simple drawing tools like a new pad of paper. But it shows up in adults too, even though it may be buried under a lifetime of sturdy discipline. I can’t remember where it was from, but a marketing group once did research on the use of crayons in restaurants, trying to find what combinations children liked the most when drawing on paper placemats. They wound up finding in many circumstances that adults, especially when they were in large enough social groups, were using the crayons just as much as the kids. Probably not an earth-shaking revelation. But they also found that, child or adult, they would get the most takers when they only provided 3 or 4 crayons, as opposed to a big handful of random colors. By reducing complexity, they increased attractiveness. What is it about such simplicity that pulls in the right half of the brain like a magnet? Most designers know about Hick’s Law, which essentially says that you shouldn’t overload people with too many decisions. Websites with too many navigation options can irritate casual visitors, for instance. When choices and options are made simple, your left brain doesn’t have to interrupt your experiences and analyze decisions as much. And the same part of the mind that finds pleasure in simple choices will find the same kind of pleasure in simple art. Alex Toth and Bruce Timm artwork distills almost everything down to the most basic forms, shapes and colors possible, making their figures and scenes downright iconic and visually powerful. No matter who you are, or what your background is or how your mind works, that simple art speaks to you. So now you know where I’m coming from when I tell you how much I love the style of the simple, clear, uncomplex look of 8-bit games, and why I think it has a hidden appeal to people. Part of the appeal is the nostalgia, yes, but think about why that nostalgia is so strong in the first place: back in the NES days, games were marketed for us kids, so back when we had our fresh, natural creative minds, we were being given a unique way of using our imagination. 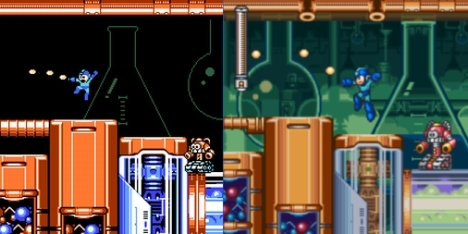 In short, these simple games gave us environments that let us fill in the details. 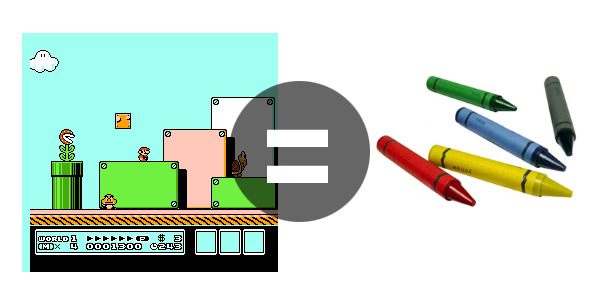 The creativity we used while building our Lego Magnetron moon bases was the same part of our brain that we used on the moon level in Duck Tales. 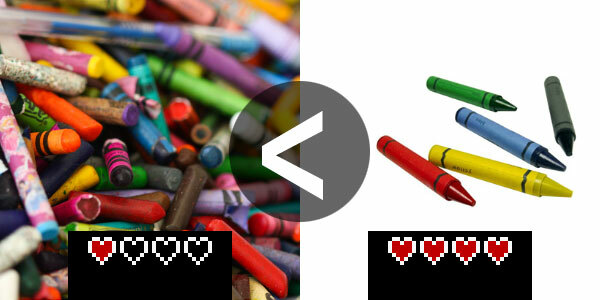 In many cases, the game’s visuals took on a minimalist graphic design style that not only made the game clear and colorful, but it made it twice as fun. How? Dopamine is one of the brain’s ways of making you feel pleasure from various activities, and one way to release this chemical is to engage as much of the brain as possible. So in this case, you’re being visually stimulated by all the bright colors and motions, mentally stimulated by the game’s difficulty, and at the same time, creatively stimulated by the invitation to fill in what exactly those little ceiling jumper things are in the first Ninja Turtles game. I saw them as little mutant pterodactyl-grasshopper crossbreeds that the Shredder was using along with the rest of the bizarre enemies/possibly failed experiments to try to counter the inexplicably successful results from mutated turtles. As the game progressed, the weirdness of the enemies reflected the depths of insanity that he sunk to from all those years of mutagen exposure, making the buildup to the final battle all the more terrifying. That’s the result from the kind of imagination I’m talking about. 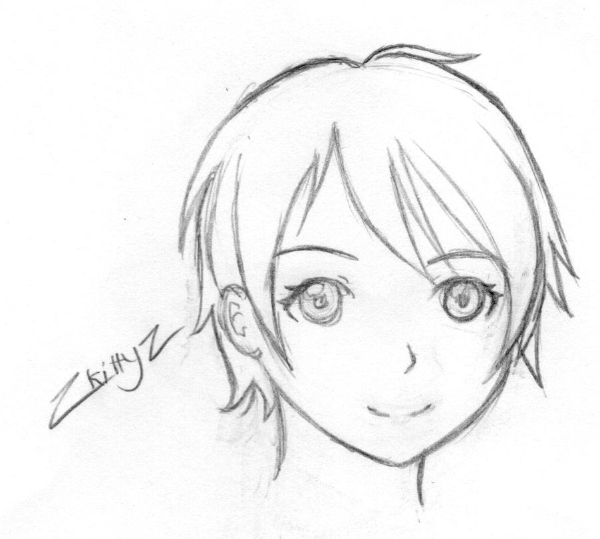 Another example of engaging your brain by filling things in is how a lot of comic artists draw female faces. Jim Lee is a master of detail and can add descriptive strokes onto anything to really jazz up the style… but every time he does a woman’s face, he puts on the brakes. He will draw Batman with 50 stray action lines across his face, but when Catwoman shows up, she gets maybe a few shadow lines around the cheekbones, and then it’s just the bare essentials for eyes, nose, mouth. Good artists know that by leaving just enough for the viewers’ brains to fill in, each person will almost always fill in what satisfies their unique tastes better than what that artist would come up with. You can even see this effect in writing. Minimal but evocative descriptions of places, events and people is what made Ernest Hemingway famous, for instance. You see it with those weird broken anime mouths that seem to disappear in the middle, and yet still work visually. Anyway, back to visuals. There’s a kind of blank canvas that you get with this minimalistic design that makes the brain (of anyone still reasonably creative) want to complete things. This is why I’m still drawn even today to 8-bit games. It’s not so much that it makes me feel like a kid again because it reminds me of what I was playing back then, but rather it reminds me of the satisfaction I had from using a fresh, natural, creative mind to fill in my own little imaginary additions to the world I was playing in — something that only a kid could expertly do. In short, it reminds me of how it felt to be the most creative that I had ever been. Question: Who’s the happier person, able to enjoy more of life? Now this is all well and good, but keep in mind I’m speaking of ideal examples — games that had good artists behind them. The ideal can fall short when you get ugly or bland looking art because it just has a way of souring your interest. 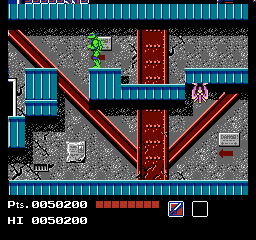 So Shatterhand is a gritty, creative and most importantly, skillfully made game that invites me in, such that I could look at it happily for hours and gleefully pretend the whole time.. but then you have the NES X-Men, and suddenly it’s like playing with a half-eaten toy truck that’s still covered in dog spit. 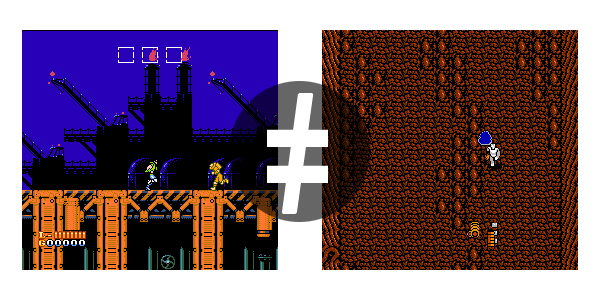 Finally, what about more detailed 16-bit games, and other pixel art based graphics beyond that? Don’t get me wrong — I definitely enjoy more detailed art, it’s just that I enjoy it for, you know, more mundane reasons. Super Nintendo games had twice the atmosphere, wonderful artwork and an amazingly immersive experience at the time. It’s just that the pleasure it produced in your brain came from a different area. The more immersive something is, the more it spoon-feeds you imagination, entertaining you more, but turning the creative chunk of your brain into a fat couch potato. You spend the whole experience using someone else’s imagination instead of your own. It makes for an enjoyable time, but the point is you should really get your creative side out to the gym more. Detail of course can be overdone, as you can see in amateur art that’s cross-hatched to death or comics done by a skilled penciller ruined by a terrible colorist. A universal rule for good artists is that they know when they’re done. 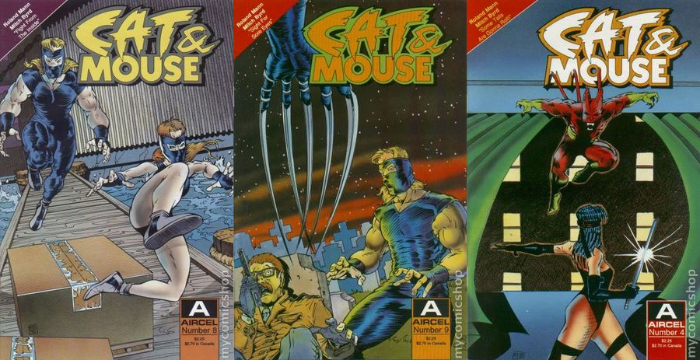 Pictured, prime example number one: indie comics from the early 90s, the majority of which were easier to look at in their black and white editions. I do wonder though if it’s still possible for people to get in touch with this part of their inner child. It’d be especially tough for a person who takes their entertainment too seriously, as sadly a whole heck of a lot of people do in this post-16-bit era. You need an innocence and a calmness to appreciate these little things, like how someone who only watches the latest and greatest Hollywood blockbusters would have a hard time appreciating the quieter artistry of a hometown theater group. But if you’re someone who can, if you have the temperament to stop and smell the pixels, then you get to pick up one of life’s many hidden little rewards, like an artist who can be moved by something that the general public misses. Since minimalist design gives your brain simple and easy images to process, it has a relaxing quality that goes hand in hand with the home-y sensation of nostalgia, which is why I think we NES babies will be fondly remembering 8-bit well into the nursing home. I want to say I seriously enjoyed this read and I actually conducted an undergrad research project on the differences in pixel and hand drawn art for indie games! Turns out that regardless of players wanting a more or less realistic character, pixel art was always a little bit ahead of hand drawn. Any way, thanks for this great read and I can link you to the project if you are ever interested in reading it. This is exactly what draws me to older games; the ability to fill in the story yourself makes the replayability endless on top of already being the most interesting story to the individual in the first place since you’re the one making it up. It’s the same thrill of a choose-your-own-adventure given only a vague sense of visuals. The pixel landscape is still ubiquitous.